The topic of medical care for the poor occupied a number of medieval Islamic physicians and it became the subject of medieval European treatises as well. The genre is related to medieval self-help manuals aimed at those who did not have access to a physician. An example of the latter is a popular treatise written in the late 9th century by al-Rāzī titled Kitāb ila man la yahduruhu al-tabib (Book for Someone Who Does Not Have Access to a Physician), which was also sometimes titled Kitāb Ṭibb al-fuqarā’ (Medicine for the Poor); for the latter, see Savage-Smith, "Bodleian", MS Hunt. dont. 31 item 4 and MS Marsh 137 item 2. 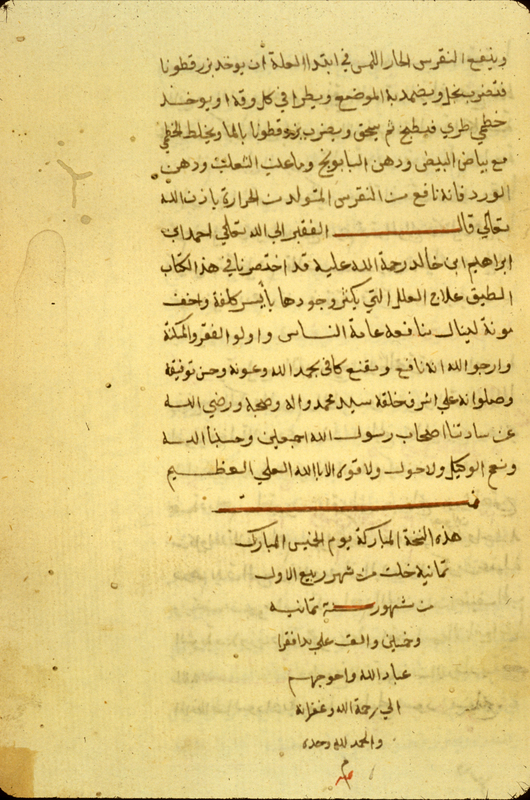 A treatise by the same title (Ṭibb al-fuqarā’ or Medicine for the Poor) by the 13th-century Syrian physican Ibn al-Nafīs is preserved today; see Sezgin, GAS III, p. 287. The treatment recommended in such writings consisted of recipes employing medicaments that could be very easily obtained. Surgery was never a part of the therapy, and medical theory played little part in the discourse. A Latin treatise titled Liber pauperum is attibuted to Constantine the African (d. 1087). Similar titles are to be found amongst the compositions of a number of European medieval physicians, including Arnau de Villanova and Bernard de Gordon. For this medical genre, see Gerrit Bos, "Ibn al-Jazzar on Medicine for the Poor and the Destitute", Journal of the American Oriental Society (1998), vol. 118, pp. 35-375, esp. pp. 366-369. 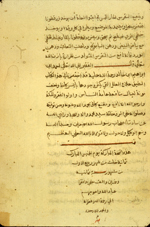 Ibn al-Jazzār's treatise on medical care for the poor, in 58 chapters (babs) is essentially a collection of compound remedies, some of which (according to some preserved copies) reflect traditional folkloric medical practices involving magical procedures or employing urine and animal as well as human excrement as ingredients. These magical procedures, however, are notably lacking in the copy preserved at NLM, though they are found in some other copies -- suggesting that these elements may be later additions to the text introduced by later copyists. Ibn al-Jazzār explicitly states in his introduction that he collected the recipes and procedures "from the works of Galen, Dioscorides, Paul [of Aegina], and other excellent physicians." Throughout the treatise, Ibn al-Jazzar also quotes recipes from Galen, Dioscorides, and Paul of Aegina, as well as Rufus of Ephesus, the 1st-2nd century AD philosopher Apollonius of Tyana, Archigenes and Crito (physicians in Rome under Trajan), and other Greek authors (known to Ibn al-Jazzār through Arabic translations). Among the Arabic authors which he quotes are Yuḥannā ibn Māsawayh and Ḥunayn ibn Isḥāq. The NLM copy was previously erroneously described as a copy of Ibn al-Jazzār's earlier treatise, his better known Zād al-musāfīr wa-qut al-hadir (Provisions for the Traveler and the Nourishment of the Settled), commonly known by its Latin title, Viaticum peregrinantis. This confusion probably was due to Ibn al-Jazzār discussing, in the introduction to the present treatise on medical care for the poor, the reasons for composing his earlier treatise. The treatise is preserved in six copies, in addition to the one at NLM: Dublin, Chester Beatty Arabic Library, MS 5224, fols 50b-88a; Gotha, Forschungsbibliothek, MS arab. 2034, fols. 1-26a; Cambridge, University Library, MS 1021 item 12 copied 1709/1121; Paris, Bibliothèque Nationale de France, MS anc. fonds 1046, fols. 1a-54a; Escorial, MS arab. 857 [C. 852], fols. 61a-92b; and Baghdad, Iraq Museum, MS 418. For these copies, see Ullmann, Medizin, p. 148 note 6; Sezgin, GAS III, p. 306 no. 3; and Gerrit Bos, "Ibn al-Jazzar on Medicine for the Poor and the Destitute", Journal of the American Oriental Society (1998) vol. 118, p. 365; Usamah Nasir Naqshabandi, Makhtutat al-tibb wa-al-saydalah wa-al-baytarah fi Maktabat al-Muthaf al-‘Iraqi [al-Ma‘ajim wa-al-faharis, 35] (Baghdad: Wizarat al-Thaqafah wa-al-I‘lam, 1981), pp. 210-211, no. 418; and W. McGuckin de Slane, Catalogue des manuscrits arabes (Paris: Imprimerie Nationale: 1883-1895), no. 3038. No modern translation of the treatise has been published. An edition of the Arabic was published in 1996: Ibn al-Jazār al-Qirawanī, Ṭibb al-fuqarā’ wa-al-masākīn, ed. by Wajihah Kazim Ali Tu‘mah, with an introduction in Persian and English by M. Mohaghegh (Tehran: Institute of Islamic Studies, University of Tehran, 1996). The NLM copy was not used in this edition, which employed the Escorial, Baghdad, Paris, and Cambridge copies. A analysis of the treatise and its sources has been published by Gerrit Bos, "Ibn al-Jazzar on Medicine for the Poor and the Destitute", Journal of the American Oriental Society (1998) vol. 118, pp. 365-375. The colophon of MS A 92 stating that this copy of the treatise Medicine for the Poor and Destitute (Ṭibb al-fuqarā’ wa-al-masākīn) by Ibn al-Jazzār, who died in 979/369 H was finished on 8 Rabi‘ I 1058 ( 2 April 1648). Arabic. 68 pages (preliminary page 2 and pp. 1-67). Dimensions 21.0 x 15.0 (text area 14.7 x 7.5) cm; 21 lines per page. The author is given as Abū Ja‘far Aḥmad ibn Ibrāhīm ibn Abī Khālid al-Qayrawanī al-mutatabbib on p. 2, lines 2-3, while at the end of the treatise the author's name is given as Aḥmad ibn Ibrāhīm ibn Khālid. The copy is dated in the colophon (p. 67 [old 65], lines 15-18) where it is said that the unnamed copyist completed it on 8 Rabi‘ I 1058 (2 April 1648). Apparently a complete copy, though it lacks many of the magical remedies found in some other copies, such as that now in Gotha. These passages may, however, represent additions inserted by later copyists and may not have been part of the original treatise. See Gerrit Bos, "Ibn al-Jazzar on Medicine for the Poor and the Destitute", Journal of the American Oriental Society (1998) vol. 118, pp. 365-375. The text begins on p. 2, preceded by a table of contents for the 58 chapters (babs) on preliminary p. 2 and p. 1 of the numbered pages. The volume has been paginated rather than foliated, and the most recent pagination replaces an older one in Arabic numerals still visible on the leaves. The text is written in a small naskh script using grey ink with headings in red. There are red numerals in the margins indicating chapters. There are catchwords. The cream paper has laid lines and single chain lines. The same paper appears to have been used throughout the volume, although the copyists change. There is extensive water damage and some folios are worm-eaten; some folios are repaired. The volume consists of 220 pages and two preliminary pages. The volume has a recent pagination that replaces an older one using Arabic numerals. Page 220 [old 218] is blank. Item 1 (preliminary page 2, and pp 1-67 [old pp. 1-65]) is the treatise here catalogued. Item 2 (pp. 68-76 [old 66-74]) is an anonymous collection of recipes (MS A 92, item 2); item 3 (pp. 77-105 [old 75-103]) is Zād al-masīr fī ‘ilāj al-bawāsīr by al-Qawṣūnī (MS A 92, item 3); item 4 (pp. 106-116 [old 104-114]) is anonymous collection of mujarrabat recipes and procedures (MS A 92, item 4); and item 5 (pp. 117-219 [old 115-217]) consists of Nuzhat al-adhhān fī aṣlāḥ al-abdān by Dā’ūd ibn ‘Umar al-Anṭākī (MS A 92, item 5). Preliminary page 1 has talismanic miscellaneous notes and recipes written in later hands. The volume is bound in a tan leather modern library binding. There are modern pastedowns and endpapers. In the collection of the Army Medical Library since 1946; provenance unknown. Schullian/Sommer, Cat. of incun. & MSS., entry A92, p. 329, where the treatise is erronously stated to be a copy of Zad al-musafir wa-qut al-hadir. NLM Microfilm Reel: FILM 48-130 no 2.